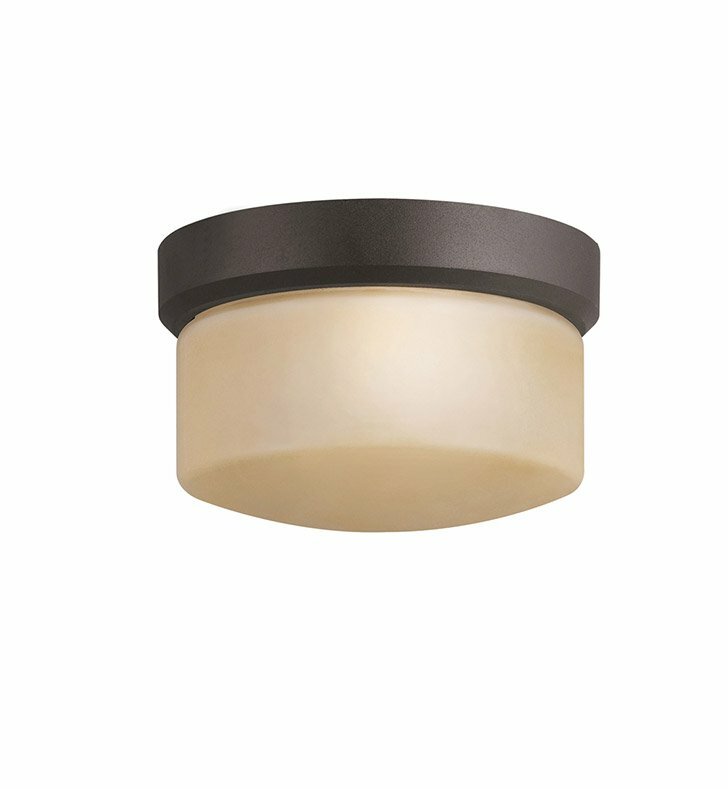 Questions about Kichler Lighting 7002AZ? The Lantana collection of outdoor lighting is handsomely stylish with solidly defined lines and done in architectural bronze finish and light umber glass. This 1 light flush mount uses a 75-W (M) lamp and is 9' in diameter, 5 1/2" high, U.L. listed for damp location. Dimensions: H 5 1/2" x W 9"